GRETNA – A local restaurant is suing its former landlord due to significant mold buildup in the premises that should have been remediated following Hurricane Katrina. CS X 2 LLC filed suit against Metairie Properties LLC, United Fire & Casualty Company and Liberty Mutual Insurance Company in the 24th Judicial District Court on Sept. 18. In 2005 CS X 2 LLC, the owner of restaurant Chad’s Bistro, asserts it executed a lease on a commercial building located at 3216 West Esplanade Ave. in Metairie owned by Metairie Properties and that shortly afterward Hurricane Katrina struck the area and inundated the building with around a foot of flood water. The plaintiff claims that the defendants maintained they had completed all necessary remediation and renovation on the property following the flooding. 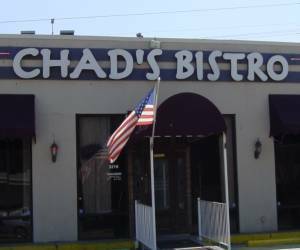 However, Chad’s Bistro alleges that in late 2013 one of its employees began experiencing health problems due to mold that was later found in the walls of the building by a company contracted by Chad’s Bistro and that the restaurant subsequently went out of business in January 2014 because the premises presented a danger to the general public. The plaintiff contends that its damages were caused by the defendants’ failure to properly repair the premises and ensure moisture from flood waters was not contained in the walls, prompting the growth of mold, falling Hurricane Katrina. The defendant is accused of negligence, failing to properly repair the premises, failing to properly inspect the premises, failing to properly maintain the roof and outside walls of the building and failing to maintain the premise in a suitable condition. An unspecified amount in damages is sought for total loss of business operations, loss of inventory due to contamination or spoilage and loss of equipment due to contamination. The plaintiff is represented by Timothy S. Madden of New Orleans-based King, Krebs & Jurgens PLLC.